Acclaimed for his "covetable control of the altissimo register on the soprano saxophone..." (The Saxophonist), and also known for his stylistic diversity, Dr. Samuel Detweiler thrives in performing both contemporary-classical, as well as jazz and popular styles. Dr. Detweiler is a passionate teacher of the instrument and instructs saxophone throughout the Phoenix metropolitan area. He is also active as a clinician, conducting performances and workshops in local schools. Fueled by a love for improvisation, Dr. Detweiler is active in commissioning new works for saxophone, some of which feature improvisation as a key element. He has commissioned works from composers Gregory Wanamaker, Stacy Garrop, and Carl Schimmel, to name a few. Dr. Detweiler plays alto and soprano saxophones in the saxophone trio, Lotus, a group dedicated to commissioning and creating new music of diverse genres. Lotus was a semi-finalist in the 2018 M-Prize International Chamber Competition. Performing with the Eos Sextet on soprano saxophone, Dr. Detweiler won first place in both the 2017 MTNA Chamber Music Competition and the Enkor International Chamber Music Competition. Additionally, Eos placed as a bronze medalist in the 2017 Fischoff National Chamber Music Competition and was a semi-finalist in the 2017 M-Prize Competition. The Eos Sextet recently released an album of chamber music called EOS. Check it out here! Dr. Detweiler has performed with the Phoenix Symphony Orchestra on various saxophones as well as bass clarinet, and he is a member of the JJ's Band. He is currently on faculty at South Mountain Community College and Kirk's Studio for the Performing Arts. 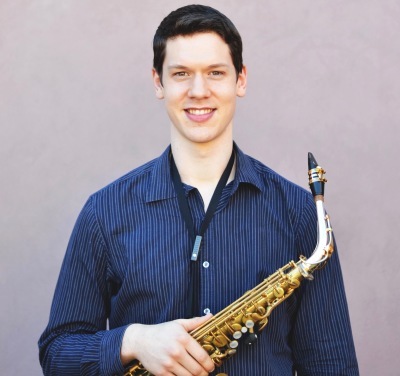 He received his Doctor in Musical Arts from Arizona State University in 2018, where he also served as the teaching assistant of saxophone under Dr. Christopher Creviston.